Dr. Quentin R. Johnson, currently of Mooresville, N.C., will become the next president of Southside Virginia Community College. He will assume the role at the beginning of July. Johnson’s selection marks the end of national search that attracted 81 applicants. 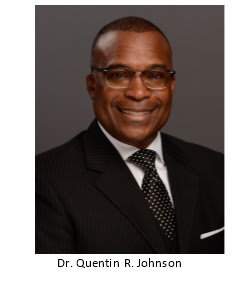 “After a thorough and fruitful search process, our board is delighted that Dr. Quentin Johnson will be the next president of Southside Virginia Community College. He brings an energy and insight that will prove to be invaluable in taking SVCC to the next level of service in our communities,” said Betsy Sharrett, chair of the Southside Virginia Community College local board.